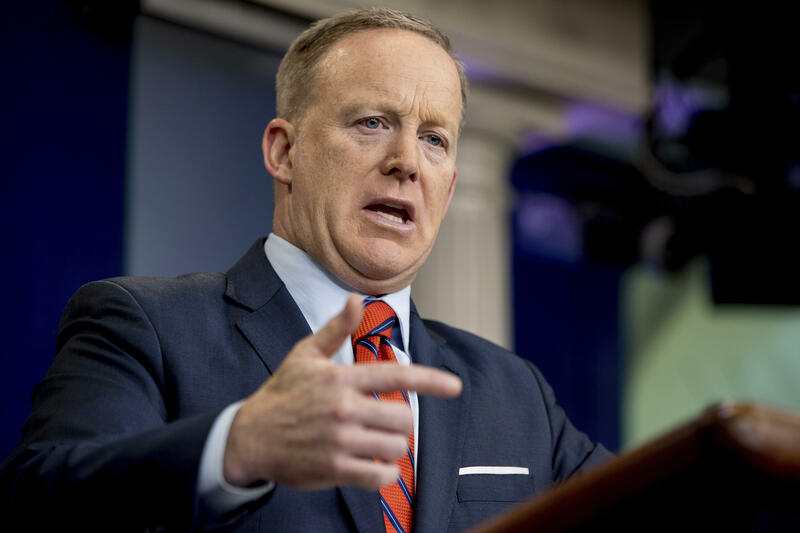 Republican Congressman Mike Coffman of Colorado called for the resignation of White House press secretary Sean Spicer after his remarks that Adolf Hitler “didn’t even sink to using chemical weapons” during a press briefing this week. Spicer’s comments on Tuesday comparing Hitler with Syrian President Bashar al-Assad, and his reference to concentration camps as “Holocaust centers,” caused an uproar. Several times afterward, he apologized for the comments, which had been made during the Jewish holiday Passover. At a Newseum forum on President Trump’s relationship with the press, Spicer apologized again. Coffman wasn’t alone in his criticism -- House Minority Leader Nancy Pelosi, D-Calif., also called for the White House press secretary’s resignation.